I can't even read this post because I am too distracted by the yummy treat. Shirt off! Shirt off! Always. Like Alex says: I want that guy's personal trainer! Actually Dwayne Johnson helped Hugh get into shape for the last Wolverine movie! Could do with some accelerated healing myself at the moment. Thanks for stopping by my blog. Just returning the visit. 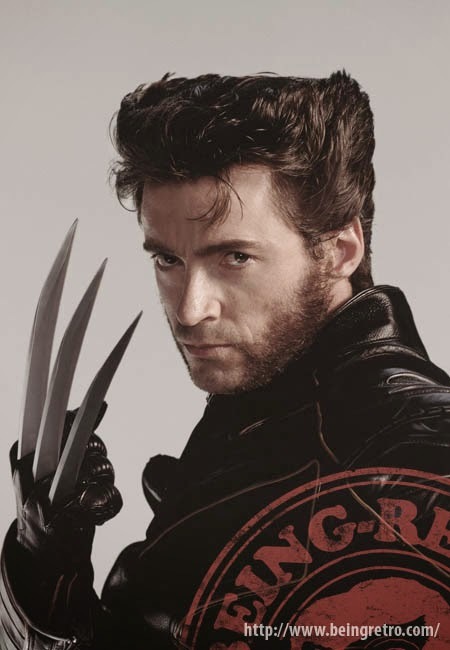 I love Wolverine, makes sense for him to be the one to time travel. Would have been easier with a TARDIS. Doctor Who was a MARVEL comic at one time! Hugh Jackman's range always impresses me. From Broadway to Wolverine and back again. There's no keeping Jackmans shirt on. The ladies would riot.